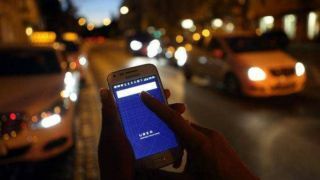 On-demand car service Uber has been busy overhauling its app lately, and the latest feature is the ability to set other Uber users as your destination, rather than just a boring old street address. The idea is simple — sync your contacts with the Uber app, then type in the name of the person you’re meeting and a notification is sent to them requesting their location. Once accepted, their location becomes the destination in your Uber driver's app and an ETA is shared with them when the trip begins. The obvious advantage of this feature is that you don’t have to have that “Where shall we meet?” conversation. But the flip side to that is that your friend’s location gets locked in once the journey’s begun — so you’ll have to hope they don’t move too far from that spot. That’s not the only change the ride-sharing giant has implemented into the app. Snapchat has been invited along for the ride, so riders don’t have to endure a boring journey (or friends a boring wait); just Snap a selfie — and dress it up — to let them know you’re on the way. If you’re already a Snapchat user, just find the Snap card on the Uber app, select the filter of your choice and swipe right. Further adding to that social/entertainment element, you’ll also find Yelp reviews and Pandora stations have now been integrated into the Uber app. Want to become an Uber driver? Here’s all you need to know.